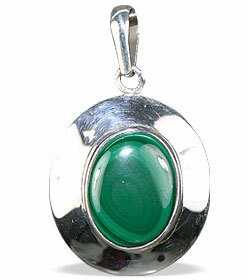 A fascinating stone and a gorgeous collection of malachite pendants in silver at very affordable prices. 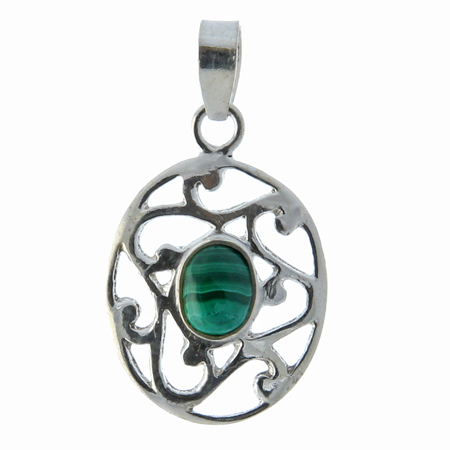 Check out now.You can pick from here exquisite quality green malachite gemstone crafted in silver pendant designs and add a dash of gleaming green to your look. 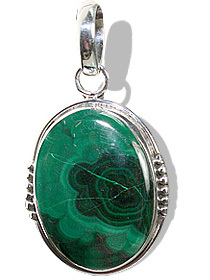 Malachite is the anniversary stone for the 13th year of marriage, birthstone for the month of July and associated with the zodiac signs of Pisces, Capricorn & Scorpio. 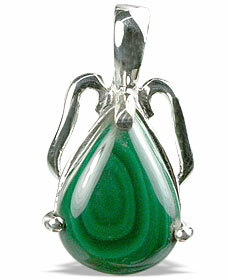 More about Malachite: Malachite derives its name from Greek word malakos meaning soft. 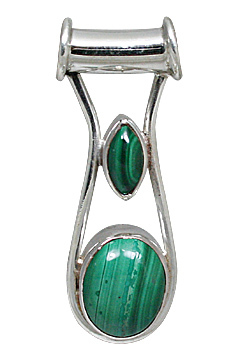 According to another theory the word malachite comes from Greek malhe, which means grass. 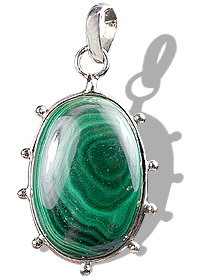 Mining Malachite began as early as 4000 BC by ancient Egyptians. 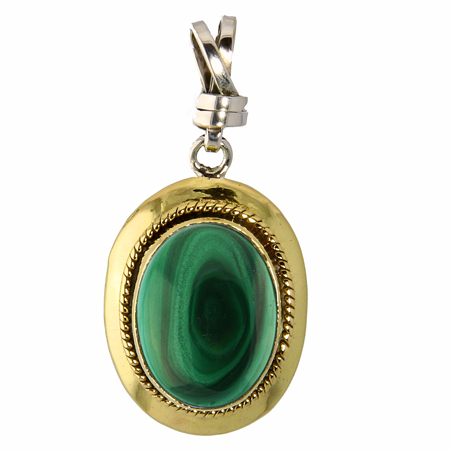 In the New Stone Age came the discovery of extracting certain metals from the ores. 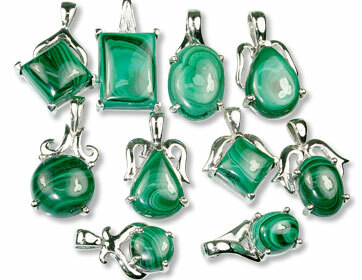 Probably the first such material to be used was malachite, which easily reduced to copper in a strong fire. 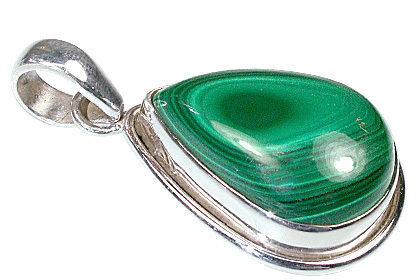 It led to the search for other metallic ores, and to the development of metallurgy. 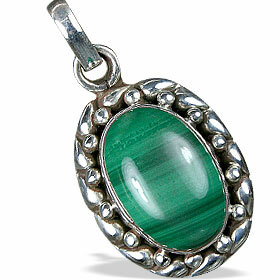 Malachite is an opaque, banded stone, the colors in the bands range from a very light green to almost deep green. 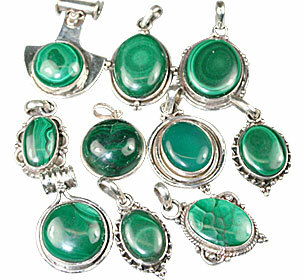 It is a semi-precious stone and also a valuable copper ore, hydrous copper carbonate [Cu2CO3(OH)2 ] It is responsible for the green color of tarnished copper and bronze. 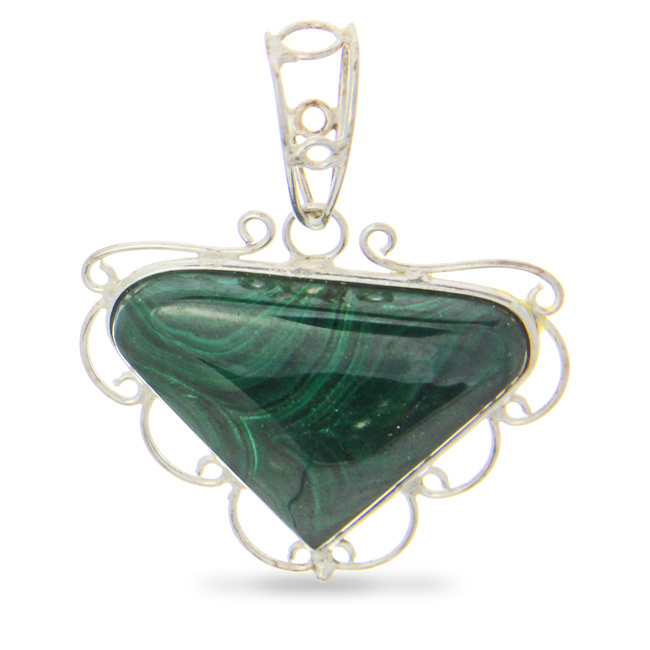 Because of its distinctive bright green color and its presence in the weathered zone of nearly all copper deposits, malachite serves as a prospecting guide for that metal. 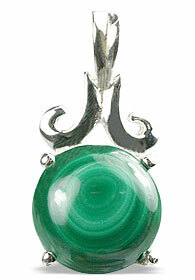 Malachite has been used as an ornamental stone and as a gemstone. 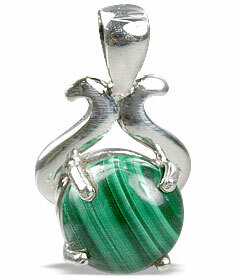 Malachite brings harmony into ones life and attracts money. 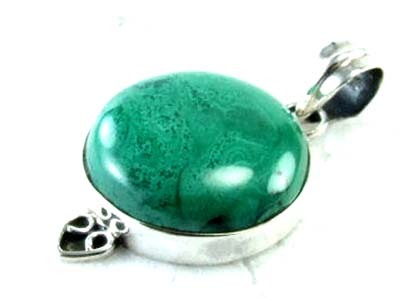 This stone is a deeply cleansing emotional body stone and is used to release negative/painful emotions, protects against psychic attacks and others negativity. It absorbs this negativity and should be cleansed after each session. It can bring things out that are buried within someone. 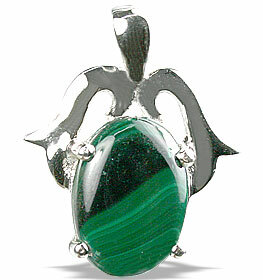 Malachite is also about change, and it is a great stone for those who do not like change in their lives, because it allows for an easy transition to take place. 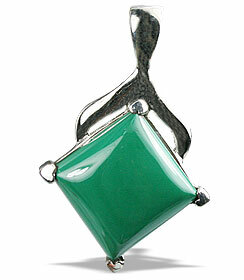 It relieves any congestion in the body and helps with confusion and lack of purpose and insecurity. 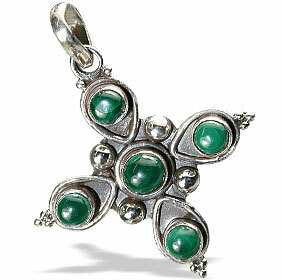 It is helpful in the treatment of rheumatism, immune, and also in regularizing menstruation. Used in the treatment of asthma, toothache. The most important mine is in Zaire. 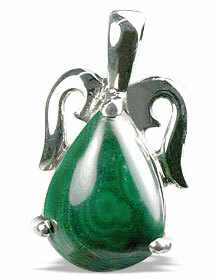 Notable occurrences are in Ural, Siberia, France, South Australia, Namibia and USA (Arizona).